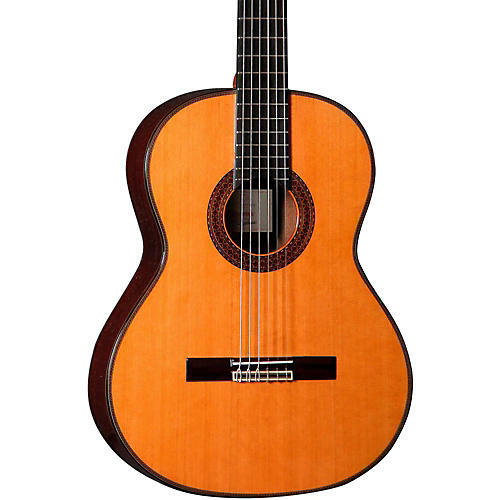 Handmade Spanish nylon string inspired by classic Alhambra models of the past. Partially inspired by the 50th mahogany model Alhambra introduced in 2015 to commemorate their 50th Anniversary, and other models from their '70s designs, the 7 C consists consists of all-solid wood construction with mahogany back and sides to compliment the solid Canadian cedar top. This handmade Spanish nylon string also has a U profile neck that makes it easier to slide up and done the fingerboard much easier.